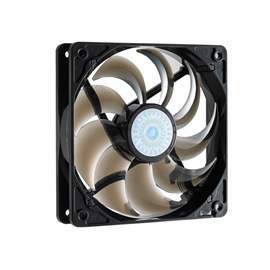 R4 series fans offer a unity of maximum rotational speed and optimum airflow. Using a unique long-life sleeve bearing fan, the R4 series offers long life rating of 50,000 hours. R4 series fans perform at a maximum of 69CFM at 2000RPM. These R4 series are available in red, green, blue LED and dark smoke (no LED). •19 dB-A silent application for CPU cooling. •Recommended for V10, V8, Hyper 212, Hyper Z600, Gemini, Cosmos, Cosmos S, HAF 932, HAF 922, CM Storm Scout and Sniper.